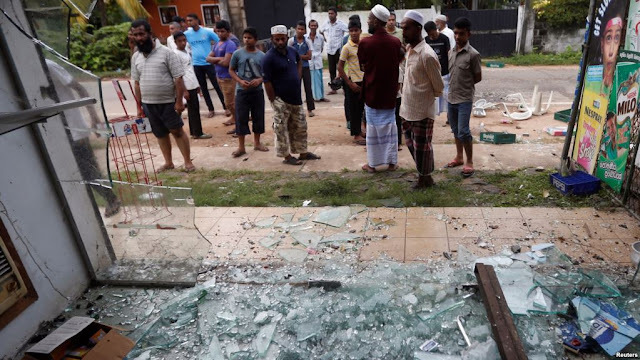 What is the truth about what just happened and may yet happen again, in Sri Lanka? As Deng Xiaoping said “seek truth from facts”. And what are the facts? Firstly, that violence is the main internal/domestic threat to the country. Secondly, that all violence is extremist but not all extremism is violent. Thirdly, collective violence in the name of ethno-religious ideology, has so far manifested itself among the Sinhalese. Fourthly, that however provocative the ethno-religious extremism of any community has been, that is no excuse for the resort to violence on unarmed civilians. It was on March 3rd, after Ampara but just before Teldeniya, that an impressive young Sri Lankan scholar, Dr. Sara Dissanayake, warned that the State had not recognized rightwing extremism and far right hate crimes as a national security threat (“Why the Government Needs to Overcome the Fear of Labelling”). She has proven spectacularly correct. The Anamaduwa arson came (coincidentally?) in the wake of a social media post featuring the photograph and name of a supposed army man (possibly a fake), recommending the use of small-unit hit and run attacks, rather than mobs! The Anamaduwa attack supposedly involved four motorcyclists! 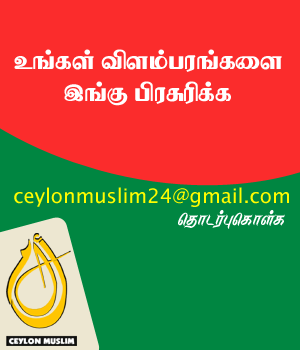 The Islamophobic ideological discourse depicts the Muslims as recent immigrants if not invaders who do not know their place as outsiders in a “Sinhala Buddhist country”, and are “conspiring to become the majority on the island”. The “Budhdha Rakkitha Himi” video contains the bloodcurdling allegation that “we know that even Muslim children are indoctrinated into capturing this country someday”. It goes onto justify the recent violence as a belated, legitimate response to Muslim behavior, asserts that that “this is only the beginning, it is not over”, and concludes with the threat that “the smell of the blood of thirty years of war is still causing our nostrils to flare” and that “there may come a day when Muslims will not be able to live in this country anymore”. Here in Sri Lanka, as in most parts of the global society in the post-Cold War period, from the Islamic through the Hindu to the Christian and Jewish, far right ethno-religious extremism is not only purveyed by sections of the clergy (every religion has mullahs or their equivalents) but also throughplaces of worship and religious instruction (every religion has its madrassas or their equivalent). This is the network; the matrix– and thus the impunity with which socially toxic hate speech is spouted, and the immunity from a state crackdown. It was President Musharraf who, in his autobiography, posed the essential question: how do parents, indeed how does a society, which spends a considerable amount of money ensuring that its children are tutored by well-qualified teachers, allow views on history, politics, economics, defense, foreign affairs, sociology, culture, civilization, to be purveyed to children and youth by religious clergy utterly unqualified to do so, and actually swallow and regurgitate their ill-informed, unfounded ideas including through the media? Two cheers for what’s left of the Executive Presidency. The Prime Minister took over as Minister of Law and Order on February 25th, and his intimate familiarity with handling the Police and the STF in the late 1980s is known. Yet the Army commander admitted on TV that many of the affected families had complained of the inactivity of the Police and the STF, who in some cases had been onlookers. It took President Sirisena, the Chief of Staff, the Army Chief and the military deployment to turn things around–for now. Correct diagnosis precedes proper prescription. Sadly the responses to the recent spate of anti-Muslim attacks tend to be marred by a common reflex action, namely that of externalization. Externalization is the manifestation of denial. For the liberals the blame somehow lies with the Rajapaksa camp, for the radicals the problem lies with the foreign devil and consorting with it. 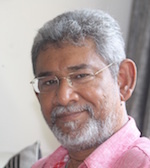 I cannot imagine the progressives of my generation which fought against the rise of anti-Tamil racism from the 1970s and through the bloodbath of the 1980s, making a critique or analysis of Sinhala chauvinism without once mentioning the track record of Minister of Industries Cyril Mathew, its focal point and chief disseminator within the government of the day. But today, I see plenty of critiques of the Islamophobic wave which do not once mention the track record of Champika Ranawake, the main patron and purveyor of Islamophobia for decades, but do mention the Rajapaksas, sometimes by implication! 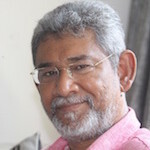 For the Sinhala Right, the problem lies with the rise of Islamic fundamentalism; for the Muslim spokespersons the very mention of that polarizing factor is a red herring and the problem is with Sinhalese chauvinist political elements. One could see the latter factor at work when UNP MP Mujibur Rahman reacted angrily, almost hysterically, to JVP MP Bimal Ratnayake who made a passionate yet even-handed critique of both Sinhala-Buddhist and Muslim fundamentalisms, as well as in Minister Rauf Hakeem’s testy brush-off of the question on Islamic fundamentalism in the East, raised in an interview in The Hindu, by its Colombo correspondent Meera Srinivasan, who has been very critical of the anti-Muslim surge and Sinhala chauvinism in general. On both sides of the divide, the stock responses lead to the furtherance of Othering. Ignored is the Buddha’s injunction to turn the searchlight within, and Mao’s insistence that the external factor can operate only through and because of the internal (“a hen can warm a stone but it wouldn’t produce a chicken; only an egg would”). The dialectical approach from the Buddha and the Ancient Greeks through to the Marxists, teaches us to seek out the contradictions within. The roots of the problem lie within our politics, social formation/s, our histories, our cultures, our ideologies and our consciousness. It lies in the cave (Plato’s or rather, Socrates’) in which we dwell –and which dwells within us. Ethno-religious militancy and radicalism are thriving in, and feeding upon, the larger national crisis. Combatting ethno-religious fascism means managing the crisis, and managing the crisis helps combat ethno-religious fascism. Before he became a fully grown poodle of George Bush, there were some smart things that Tony Blair said. One was “tough on terrorism; tough on the causes of terrorism”. The same goes for ethno-religious fascism. As in the movie Jaws, when they discover that the deadly shark they’d disposed of was only the baby, and the much bigger mama shark was out to get them, Amith Weerasinghe and his Mahasona mafia is the baby shark. The much bigger “mama” shark will surface one of these weeks or months. What then to do about it? Max Horkheimer of the Frankfurt School famously said that “he who did not wish to speak of capitalism should also remain silent on fascism”. Similarly, those who do not wish to identify and uproot the causes and conditions for the rapid rise of ethno-fascism, should not be regarded as those who seriously want to combat it. There are two basic sets of causative conditions: economics and politics. The government is adopting economic policies which have caused economic growth to slow, thereby generating fewer opportunities and wealth. It has also implemented neoliberal policies which in every part of the world has generated a social backlash, often of an Alt-Right populist nature, with its attendant regional, ethnic, linguistic or religious antipathies. In this country, the government’s economic policies, already enacted and in the pipeline, have caused a threat perception among the Sinhala business community. All of this creates an enabling environment for far right movements. Those in politics and civil society, here and overseas, who do not wish to reverse these policies and to effect the leadership changes which would cause such reversal, are responsible for their persistence and the resultant growth of virulent ethno-religious majoritarian projects as well as their fascist fringes. Apart from economics, there is politics. The democratic political establishment is looking like the Weimar republic. The growing and single biggest force, led by Mahinda Rajapaksa, has been denied the space of the official parliamentary opposition. Thus their support base in society does not feel represented in the formal institutional framework. There is no disincentive for these partially disenfranchised supporters to desist from acting as spoilers. That’s on the populist front. This however is not the only political problem. The two main parties of the establishment are sinking. The UNP is down to 32% and on current form, will be down to the modest 20% range at the Provincial elections. The SLFP, the other main party, is down to 13% and will diminish further if it continues to free fall between two stools—the traditional role of moderate nationalist opposition to the UNP and partner of Ranil’s neoliberal UNP. Both parties, the UNP and SLFP are being sunk by Ranil Wickremesinghe and his policies—one party is dying due his leadership (electorally he is a ‘dead man walking’) and the other due to infection caused by alliance with him. Meanwhile in the North, the established party is down to 35%. So, the democratic establishment is in decline, while the populists who are on the rise, are not accommodated nor is their social support reflected in the governmental architecture or larger political order. I have lived with awareness through changes of government since 1964, as well as through insurgencies, civil wars, external military intervention, assassinations and a tsunami. The two administrations with the worst track records I have experienced in my lifetime have had Ranil Wickremesinghe as Prime Minister (2001-2004, 2015 to date). Now that can’t be a coincidence. Never even in the worst of times have I witnessed so inefficient, ramshackle, incoherent, stagnant and dysfunctional a government as this one. By late next year, it will be euthanized by the electorate and begin to fade into a neoliberal nightmare never to be repeated for a generation. The old, the Yahapalana government, is dying, and the new, a Rajapaksa–led government of the JO-SLPP in which Mahinda is Prime Minister, cannot yet be born until the elections of 2019-2020. We are living in the interregnum. It is in this interregnum that a great variety of morbid symptoms appear. Ethno-religious fascism is one of those morbid symptoms. The transition can be shortened. Recall the dog in the manger who neither eats the straw nor leaves it to the cattle who do? Well, Ranil Wickremesinghe is far worse. He is the most destabilizing, polarizing and unwittingly destructive political leader in Sri Lanka today and has been so for quite some time. He cannot win an election for the UNP nor will he give someone who might, or who can narrow the margin of defeat, a chance to by stepping down as UNP leader. He cannot reverse or retard the polarization that is caused by his policies on many fronts but is unwilling to hand over to a more organic, less socially polarizing leader. He is unable to prevent the damage that association with him does the SLFP and the President electorally, but is unwilling to allow a different PM to minimize, and perhaps reverse that damage. He is unable to crack down on the ethno religious fascists or prevent their surge, but is unwilling to step down for somebody whose profile would not cause such elements to grow and would be able to crack down more effectively on them. He is the unrepentant political patron of a mega-fraudster (in short, a crook), unable to secure his appointee’s presence before the law but unwilling to take any responsibility and step down for the damage done to the country, the Government and his party the UNP. I fail to understand the logic of maintaining either as PM or UNP leader a personality who has the trust only of the minorities, if that, but has lost or never had the trust of the majority which is overwhelmingly preponderant given the island’s demographics. Such a leader can achieve nothing sustainable for either the minorities or the majority. He can only serve foreign interests. So why retain him? While Sri Lanka is by no means a failed state, what we have is, arguably, a failed government and unarguably a failed Prime Minister. The proverbial dog-in-the manger had nothing on this guy. Those who do not call for his removal and in fact support him or remain silent, are contributing mightily to the conditions which enable and encourage the growth of ethno-religious fascism. One of the markers of an “organic crisis” according to Antonio Gramsci, is that social strata detach themselves from their traditional parties. This has happened and is continuing to happen, to the SLFP, UNP and TNA. This is a classic situation for the rise of either revolutionary, left-populist, or fascist movements and personalities. In Sri Lanka there are no revolutionary movements, nor a Left anywhere close to either the British Labor Party of Jeremy Corbyn or the Nepali Left of Pushpa Kamal Dayal (‘Prachanda’) et al. With the distortions and lacuna in the democratic establishment, that leaves the ethno-religious chauvinism, with its fascist Shiv Sena type “sword arm”, to fill the vacuum. However, were Mahinda Rajapaksa either the Prime Minister or the Leader of the Opposition, ethno-religious fascism would have no traction or space to destabilize the country. If you think this is fanciful, just permit your mind to imagine what the situation would have been had the JVP’s April 1971 Insurrection exploded with the UNP rather than Mrs. Bandaranaike’s SLFP-LSSP-CPSL coalition government in charge, or had the JVP’s second insurrection continued to face the Jayawardene-Gamini Dissanayake-Lalith Athulathmudali UNP government, rather than the Premadasa UNP? Face the hard fact: it takes a majoritarian populist–patriotic government to put down an ultranationalist extremist challenge. A pro-Western, cosmopolitan, elitist Establishment, however harsh and tough (e.g. the Shah of Iran) cannot do so, and is in fact the ideal target for xenophobic or ultranationalist extremism.